It’s no great secret that the one of the larger technological grumbles these days is the inability of cable providers to change the lock on digital video security — without being required to replace it and the door. It’s also no great secret that U.S. cable providers are redlining in risk, as more and more consumers choose satellite video service — or that U.S. operators lag their European counterparts by at least a year in revenue-producing interactive services. The intractable lock and the stagnancy risk are related. Locks, and the steel security doors (speaking in analogy) on which they mount, are built into digital set-tops, in the form of encryption and conditional access. The lock is the encryption. The door is the conditional access–on the condition that a customer is authorized to receive a scrambled service, the access door opens. In contemporary U.S. digital video installations, the lock and the door are inextricably entwined, and cannot be purchased separately. The keys to unlock and open the door are the secret sauce of the industry’s dominant supplier duo. For Motorola and Scientific-Atlanta, sharing key recipes with other manufacturers, to encourage competition that lessens per-unit prices, is like asking Merck and Bristol-Myers Squibb to openly publish the formulas they spent zillions of dollars to discover and patent. An invented word, simulcrypt essentially means you can change locks without having to change doors, too. Technically, simulcrypt is a system that lets different set-tops, using different conditional access schemes, to receive and descramble premium signals. They do it by walling conditional access functions to a separate, removeable card, not unlike the “POD” (point of deployment) technique defined by CableLabs’ OpenCable project. 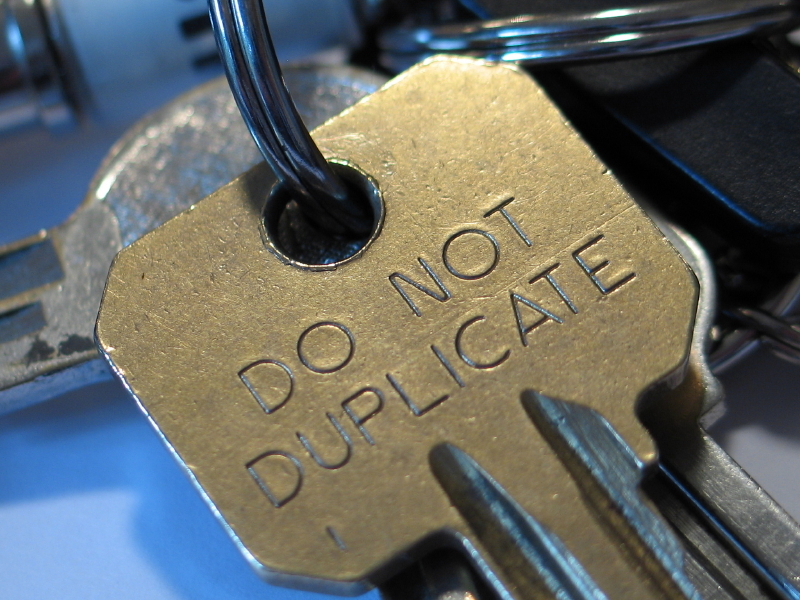 When a European operator chooses to use two conditional access systems, they run side-by-side, spewing out separate entitlement messages to separate set-top types. Much of this framework, of course, already exists in the U.S. CableLabs, in 1996, negotiated a cross-licensing “Harmony” agreement between Motorola and Scientific-Atlanta. MediaOne, in 1999, used a simulcrypt approach that included neither duopoly incumbents, in its Jacksonville, Fla. system. Cablevision Systems is using a simulcrypt-like technique with its Sony installation. Why, then, aren’t multiple conditional access schemes, either based on a Harmony offshoot or a simulcrypt conversion, happening in the U.S.? There’s no easy answer. Part of it has to do with cost: Adding the muscle to support multiple security formats means adding another rack of expensive equipment, per headend, on the hope that competing set-tops will someday hang off of it. Another part of it has to do with the blessing, and curse, of inertia. In the fourth quarter of last year, U.S. cable providers fielded about 150,000 new digital boxes each week, based on proprietary security systems. That’s the good news. It’s also the bad news. With that much momentum, the ship is hard to turn. On the other hand, addressing today’s security conundrum for incremental (i.e. not fielded) set-tops may be the only way to break out of the dis-innovation vortex, both in digital video hardware and applications. The choice lies mostly with cable providers: Write the check to open security, or risk losing the monthly checks of existing cable customers to satellite providers. Last time, we reviewed the ample amount of stuff needed to build what’s commonly known as “the last mile” of the cable network – the section of plant that starts where the fiber part of hybrid-fiber-coax (HFC) adjoins to the coaxial part, and ends a few hundred feet later, at subscribing homes. The last mile, as described previously, usually isn’t a linear mile. More, it’s a collection of couple-hundred foot lengths of plant, stemming out from the node in a way that blends with neighborhood geographies. Summed, those lengths of coax emanating from the node can equal a mile. Building the last mile involves six distinct and mostly sequential steps, at least in this (way) simplified overview of aerial plant construction: Making maps, hanging strand, placing cable, cutting things in, testing, and dropping off to subscribing homes. Making a walkout map means walking the streets, measuring the footage from telephone pole to telephone pole. Any identifying characteristics – a transformer, an anchor wire – are jotted down to help the construction effort later. Next comes the strand – heavy lengths of steel wire, affixed with three-bolt clamps to the poles. At the last pole, a different type of clamp, with a ring on it, attaches the hung strand to a guy wire, and to the ground. Electrical bonds, to protect the strand from lightning damage, are typically done “first, last and 10,” meaning every first, last and 10th pole. “Bond” means the strand is bonded to someone else’s ground; usually the public utility company which owns the pole. 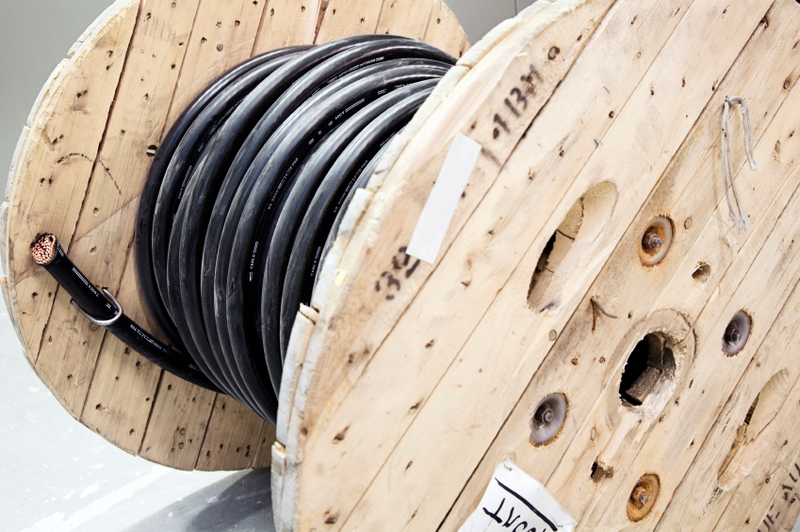 One of the most critical aspects of stringing cable, aficionados say – other than making sure it doesn’t get kinked or crimped – is the expansion loop. Expansion loops are needed because strand wire contracts and expands differently than coaxial cable. Step four in last mile construction is the cutting in of things like amplifiers and taps. This is another critical craftsmanship area, particularly when coring and prepping the hung cable. Forget to put on a length of heat shrink tubing before adjoining the cable into the amplifier Start over. Scratch or damage the center conductor? Start over. Do too much of either? Use up expansion loops. Next comes turn-up and testing. The idea is to first check for shorts in the installed plant, then to stuff modules into amplifiers, then to check signal integrity – although procedures vary widely in this phase. The last job is handled by the installer, who runs the last bit of coaxial cable (usually somewhat less thick than what’s on the poles) to subscribing homes. That’s the unsung story of last mile plant construction. It’s not easy work. It’s not glamorous work. But, this industry wouldn’t exist without it. Maybe today’s the day, then, to give your colleagues in plant construction a cold beer and a clap on the shoulder, in appreciation.